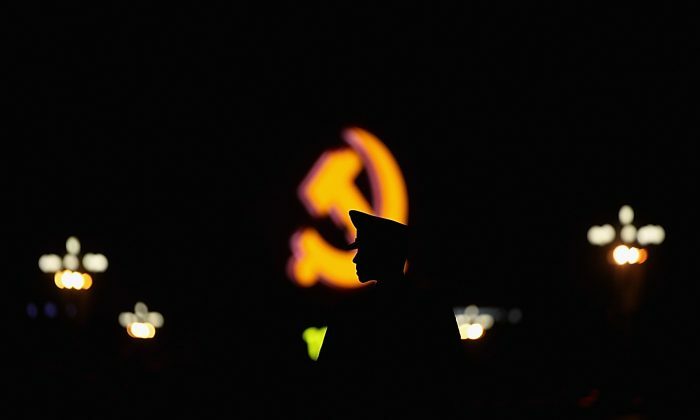 In its latest attempt to further entrench communist ideology in all facets of society, the Communist Party in China is now mandating that all of the country’s publicly-listed companies set up Party organizations for its employees. Party organizations are set up in the workplace to ensure staff and workplace decisions toe the Party line. Usually, they are also in charge of the employee labor union. The China Securities Regulatory Commission on June 15 issued a set of revised guidelines for company management of publicly-listed firms, which it calls “companies with Chinese characteristics,” a reference to how the Party refers to its rule as “socialism with Chinese characteristics.” It is often used to explain how China has allowed some aspects of capitalism and the market economy to exist despite textbook communism denouncing such “bourgeois” elements. These guidelines mandating that “rules regarding party-building work be written into the company charter” confirmed the fact that private companies in China are still privy to the Party’s demands and are not truly private. Last year, Chinese state media estimated that roughly 70 percent of China’s 1.86 million private firms have set up Party organizations. Even foreign joint ventures are subject to such rules. About 70 percent of foreign-funded companies, or 106,000, have established Party branches, an official from the Party’s Organization Department, Qi Yu, said last October at the Party’s critical conclave, the 19th National Congress. While companies are often eager to please the Chinese regime and do as it says in order to stay out of trouble, independent Chinese economist He Qinglian said pledging loyalty is not enough, as seen in the recent cases of several big conglomerates’ downfall after the Chinese regime went after it. For example, Wu Xiaohui, former chairman of China’s largest insurance conglomerate, Anbang, was recently sentenced to 18 years in prison, amid the Chinese regime’s campaign to reduce financial risk and curb capital outflow. Anbang had made several massive overseas acquisitions, including New York’s Waldorf Astoria hotel. Meanwhile, billionaire and founder of Tomorrow Group, Xiao Jianhua, has gone missing, purportedly under investigation by Chinese authorities. Ye Jianming, former chairman of CEFC, one of China’s biggest energy conglomerates, is also under investigation. All of these company executives purportedly have ties to key officials belonging to an opposition faction in the Communist Party. “It’s not just because you became a member of the Party, you wear a ‘Red Army’ outfit, and tell the Party how loyal you are, you’ll be clear from investigations. When [the central authorities] want to investigate you, it will do it just the same,” He Qinglian told Voice of America in a June 16 report. Ms. He was referring to recent headlines in Chinese media that Pony Ma, CEO of Chinese tech giant Tencent, and Liu Qiangdong, founder of JD.com, a top e-retailer site in China, appeared in the uniform of Cultural Revolution-era Red Guards while on a trip to Yan’an, the headquarters of the Communist Party during the Chinese civil war.